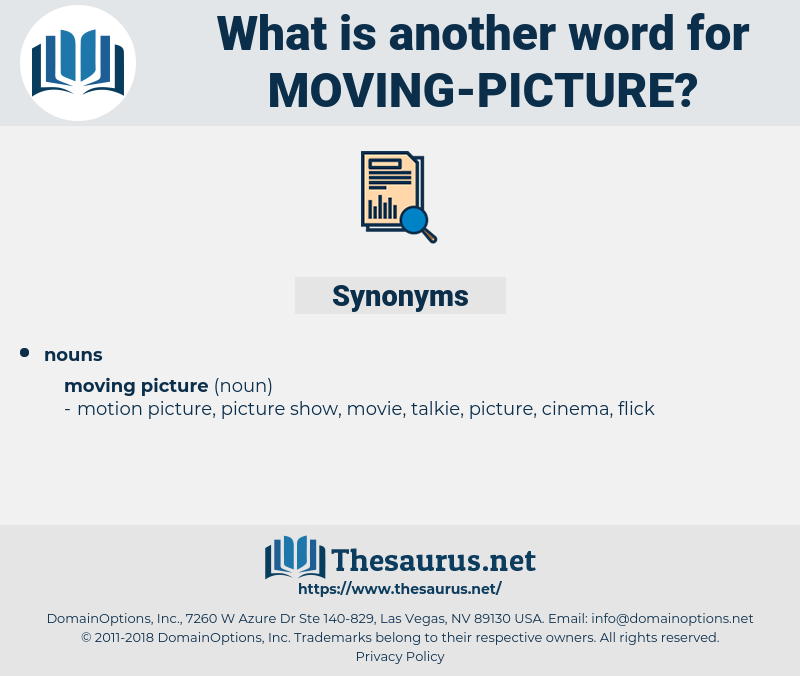 What is another word for moving picture? A series of pictures, usually photographs taken with a special machine, presented to the eye in very rapid succession, with some or all of the objects in the picture represented in slightly changed positions, producing, by persistence of vision, the optical effect of a continuous picture in which the objects move in some manner, as that of some original scene. 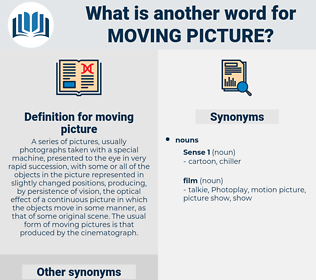 The usual form of moving pictures is that produced by the cinematograph.